‘We’, ‘us’ and ‘our’ refers to SmithLovett & Associated Brokers Pty Ltd (ACN: 134 568 291) as trustee for the SmithLovett & Associated Brokers Unit Trust trading as Yield Finance Group (ABN: 61 340 858 332) and its related entities/businesses. We understand how important it is to protect your personal information. We recognise that any personal information we collect about you will only be used for the purposes we have collected it or as allowed under the law. It is important to us that you are confident that any personal information we hold about you will be treated in a way which ensures protection of your personal information. Where reasonable and practical we will collect your personal information directly from you. We may also collect your personal information from other financial institutions, finance brokers and other people such as accountants and lawyers. As well as collecting information such as contact and address details, our website also records traffic statistics such as the number of visitors to our site. These details are primarily used for optimising our site and its performance. Any details recorded are anonymous and we cannot link your identity to these statistics. 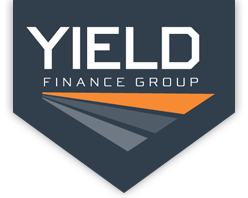 If you do not wish to receive marketing information, you may at any time decline to receive such information by telephoning us on (02) 6021 5744 or by emailing us at admin@yieldfinance.com.au or post to PO Box 329 Albury NSW 2640. If the direct marketing is by email you may also use the unsubscribe function. We will not charge you for giving effect to your request and will take all reasonable steps to meet your request at the earliest possible opportunity. If any of the personal information we hold about you is incorrect, inaccurate or out of date you may request that we correct the information. If appropriate we will correct the personal information at the time of the request. Otherwise, we will provide an initial response to you within seven days of receiving your request. Where reasonable, and after our investigation, we will provide you with details about whether we have corrected the personal information within 30 days. If we refuse to correct personal information we will provide you with our reasons. Where we are unable to resolve your complaint or 45 days have elapsed, you may contact the Australian Financial Complaints Authority, or AFCA. AFCA provides fair and independent financial services complaint resolution that is free to consumers.